So, I am sure that you are going to get sick of hearing two words by the end of March – Mercury retrograde. Electronics may become problematic, especially computers and cell phones. That is some list, isn’t it? But don’t fret Mercury retrograde can be used as a positive tool and with Mercury making several aspects this week, it’s a great time to work with him rather than against him. In mythology, Mercury played several roles, but the two most important were messenger of the gods and the psychopomp that ushered the souls of the dead into the underworld. Psychologically, you could say that Mercury rules the process of the conscious mind, the process of the unconscious becoming conscious, and all the processes in between. During this retrograde cycle pay close attention to your dreams, fantasies, and the areas where Mercury is causing chaos because it will hold the keys to the areas of your life where attention may be required. Ultimately, by actively encouraging the unconscious to become conscious, Mercury retrograde may help you level up and begin a new cycle in your life. 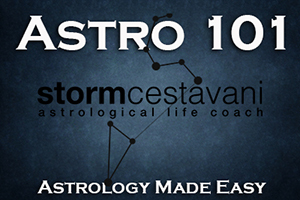 This entry was posted in astrology and tagged horoscope, mars trine saturn, Mercury retrograde, Mercury sextile Mars, Mercury sextile Pluto, Mercury square Jupiter, piscesseason, Storm Cestavani, Sun conjunct Mercury, sun sextile pluto, sun square jupiter, Zodiac on March 9, 2019 by Storm Cestavani. So, this week we have nothing but positive aspects. Whew! We can all breath a sigh of relief because this type of energy doesn’t happen often. However, there is a catch – we need to make sure we take full advantage of it by ‘taking action’ and not letting this potent period pass us by. The headliner of the week is the New Moon in Aquarius. Aquarius is the sign of the group, collective thoughts, and higher-minded ideals. When you combine Aquarian energy with the New Moon it’s a great time to explore expanding your sphere of influence. 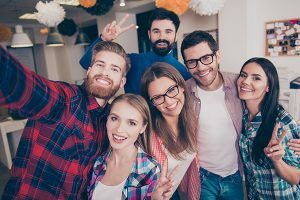 You can do this by seeking out new friendships, getting involved in groups with like-minded individuals, participating in meetup groups, or even joining the local country club. The key from this potent lunation is the need for support from those around you that are not bound by familial ties and obligations but from social connection and likeability. New Moon cycles are great for magical and intention work. You can use this New Moon to attract new friends, standing up for your beliefs, or even succeeding with activism activities. The New Moon in Aquarius is about bringing people together by engaging in our similarities and our collective goals rather than our differences. Besides the New Moon that occurs in Aquarius on Monday (see above), the Moon makes harmonious aspects to Jupiter and Mercury. This is a good day for business activities, signing contracts, or resolving legal matters. If you have unresolved issues or recently had a conflict with a friend or associate, Monday is an opportunistic time to resolve disagreements and patch things up. Happy Chinese New Year! The Moon spends its last day in social Aquarius and once again makes several enjoyable aspects throughout the day. Tuesday is good for networking or socializing with friends. As the Moon sextiles Uranus, a surprising new alliance may occur unexpectedly. The Moon spends its first full day in watery Pisces. You will find that you are more sensitive to the emotions and intentions of those around you. Since the Moon forms a lovely sextile to Venus, it’s a great day to relax, pamper yourself, and perhaps spend time with your significant other. If you are single, a night with your tribe may be on the menu. Thursday is a day to highlight in your calendar because it’s one of the most positive days of the year with the sun forming an opportunistic sextile to Jupiter. Your outlook on life will be positive and you will easily notice opportunities you should take advantage of when they are presented to you. All group projects and activities are encouraged because it’s easy to work with others while this aspect is active. Also, Thursday is an amazing day to look at your goals and ambitions for the next few months. The Moon moves into Aries during the morning hours on Friday giving you an extra boost of energy – kind of like a cosmic Redbull. The good news is that you can use this power fuel to get things accomplished, but the bad news is that you may be highly reactive to people around you. Friday evening is not a night to go out on the town because the Moon forms a complicated square to Venus. Conflicts with others are highly possible, so if you can avoid personal interactions, then do so. Although Friday evening will be tense, Saturday will be easier. Mercury forms a nice aspect to Uranus and it’s a great day to spend with your social circle or other like-minded individuals. If you’ve been feeling a bit of cabin fever over the winter months, this would be a great day to get out. On Sunday, Mercury leaves Aquarius and dives into the deep waters of Pisces. Mercury remains in Pisces until mid-April which gives us an extended period of intuitive insight. Mercury in Pisces is great for creative or artistic based projects. However, be prepared, Mercury goes retrograde in Pisces in early March and direct communications with others will become more complicated. This entry was posted in astrology and tagged Mercury in Pisces, Mercury sextile Mars, Mercury sextile Uranus, New Moon in Aquarius, sun sextile jupiter on February 2, 2019 by Storm Cestavani.